In October 1897 – just 120 years ago – the Duke of Cambridge made a Royal visit to Bath to open the new Roman Promenade and entrance to the Roman Baths in Abbey Churchyard. This was the culmination of 20 years’ work and controversy in the city, because as the Roman remains were excavated, buildings had to be pulled down and a huge gaping hole was created in the city centre. They had been years of prevarication, heated debate and pure bloody-mindedness on the part of Major Charles Edward Davis, the City Surveyor of Corporate Works, the man who had been in charge of the work from the very beginning. 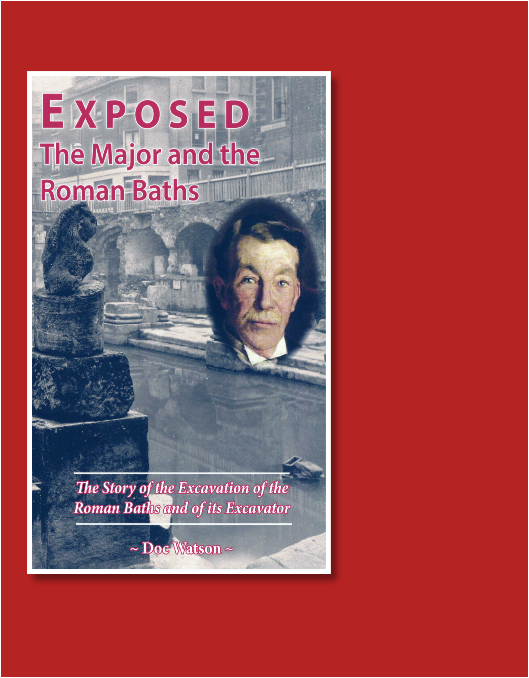 Exposed – the Major and the Roman Baths is the first full biography of the Major to be published. It describes not just the excavation but also chronicles the Major’s life through his many triumphs and failures, his tricky relationship with the Town Council, of court appearances, divorces and scandals. It is also a history of the fortunes of Bath through the 19th century as it struggled to overcome those early years when the city had to compete against the new fashion for sea bathing, before rising once again to become a top visitor attraction in this country and today the world. Meticulously researched through local and national newspapers and the local archives, Exposed has been written by Doc Watson, one of the tour guides at the Roman Baths. This will prove to be a fascinating read for anyone wishing to know more about Bath and the discovery of the Roman Baths. Doc Watson worked for over 30 years in the professional theatre as writer, director and theatre manager, before moving to Bath in 2001. Always interested in history he has written a number of plays on historical subjects, such as Hop Picking in Kent, a Peasant Uprising in Boston, Lincolnshire and a history of the Thames Sailing Barges. 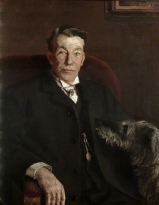 Doc has also written plays about Charles Dickens and Wilkie Collins, and Rex Whistler, the painter of that odd little picture in the Victoria Art Gallery called The Foreign Bloke. He has also performed as Charles Dickens at the Pump Room in 2012 as part of the bicentenary anniversary of Dickens’ birth, as Edgar Allen Poe at the Rondo Theatre and William Harbutt, the inventor of Plasticine, at the Victoria Art Gallery. Doc wrote “Exposed” at the suggestion of one of the many international visitors to the Roman Baths, who had been on one of Doc’s tours. But it is also the culmination of four years’ work researching into the subject matter, initially to provide background for the tunnel tours at the Roman Baths. Doc is prepared to take part in interviews, to give talks and readings of his book for local societies.